Kick off your visit on the 3rd (Mon): explore the striking landscape of Cabo Pulmo Marine Preserve. To find where to stay, other places to visit, more things to do, and more tourist information, read our Cabo Pulmo online itinerary creator. Use the Route module to find suitable travel options from Louisville, USA to Cabo Pulmo. The time zone difference moving from Eastern Standard Time (EST) to Mountain Standard Time (MST) is minus 2 hours. Traveling from Louisville in October, expect Cabo Pulmo to be much warmer, temps between 90°F and 70°F. Finish up your sightseeing early on the 3rd (Mon) so you can travel to San Jose del Cabo. 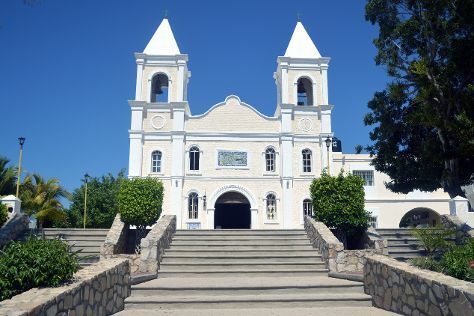 Underdeveloped and unexplored for most of its history, San Jose del Cabo emerged as a major tourist destination in the 1970s, when a growing number of sun-and-sand visitors discovered the area's appealing beaches. 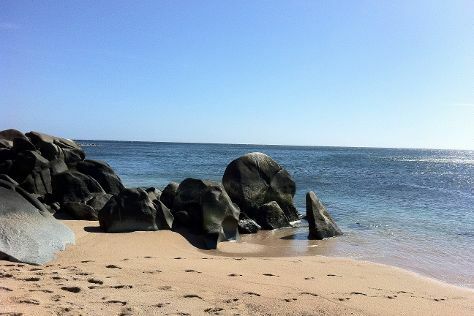 Get in touch with nature at Playa del Amor (Lover's Beach) and Cannery Beaches. Get some cultural insight at Mission of San Jose del Cabo Church and Paquime Gallery. Change things up with these side-trips from San Jose del Cabo: Cabo San Lucas (Golden Cactus Gallery, Spas & Wellness, & more). There's much more to do: enjoy the sand and surf at Chileno Beach, view the masterpieces at Galeria de Ida Victoria, and tour the pleasant surroundings at Santa Maria Beach. For where to stay, reviews, traveler tips, and more tourist information, read our San Jose del Cabo vacation planner. Use the Route module to find suitable travel options from Cabo Pulmo to San Jose del Cabo. In October, daily temperatures in San Jose del Cabo can reach 90°F, while at night they dip to 70°F. Cap off your sightseeing on the 8th (Sat) early enough to travel to Todos Santos. 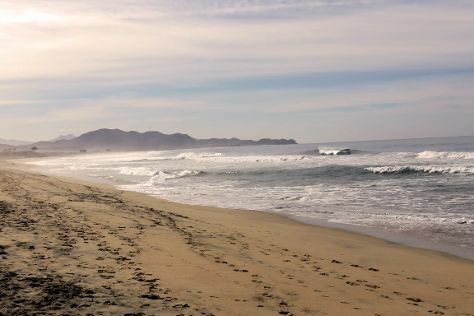 Todos Santos is a small coastal town at the foothills of the Sierra de la Laguna Mountains, on the Pacific coast side of the Baja California Peninsula, about an hour's drive north of Cabo San Lucas on Highway 19 and an hour's drive southwest from La Paz. Kick off your visit on the 9th (Sun): tour the pleasant surroundings at Playa Los Cerritos, take in the exciting artwork at Galeria de Todos Santos, then wander the streets of La Candelaria, and finally take in the exciting artwork at Agua y Sol. Keep things going the next day: stroll through La Pastora, view the masterpieces at Galeria Logan, and then kick back and relax at Playa La Cachora. To see other places to visit, ratings, traveler tips, and tourist information, go to the Todos Santos online itinerary creator. Explore your travel options from San Jose del Cabo to Todos Santos with the Route module. Expect slightly colder weather when traveling from San Jose del Cabo in October: highs in Todos Santos hover around 85°F, while lows dip to 74°F. Wrap up your sightseeing on the 10th (Mon) early enough to travel back home.